Everyone loves baby animals. Even the most jaded adult will admit to succumbing to warm fuzzies when faced with kittens and puppies. 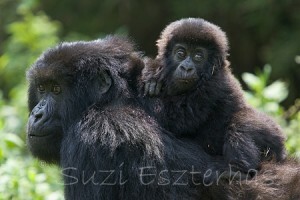 Suzi Eszterhas, an award-winning wildlife photographer, has a new series from Frances Lincoln called Eye on the Wild. The first two of the four-book series are Cheetah and Gorilla. A combination of adorable photographs of baby animals with their mothers and families and easy-to-grasp facts about how the animals thrive and grow, these books are interesting and entertaining for children in a range of ages. The books provide excellent opportunities for discussing parent-child relationships, how animals are similar to and different from humans, and to learn about the animals in their own environment. Both the Cheetah and Gorilla books are mom-centric. In fact, the Cheetah book doesn’t address where the dad or other family members are. My children were definitely curious about where the cubs’ father was, and the book doesn’t provide an explanation for nature’s influence on the Cheetah family make-up. 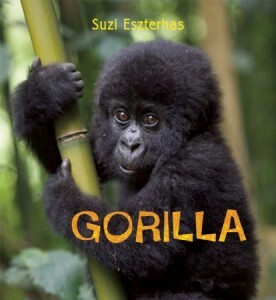 The Gorilla book has a lot of wonderful family scenes including an emphasis on breastfeeding and baby-carrying. The photographs are gorgeous, and they show how close to the Great Apes we really are. Very young children will enjoy looking at the photographs and hearing simple facts, and preschoolers up to age eight or so will be interested in the photographs together with the facts and explanations. 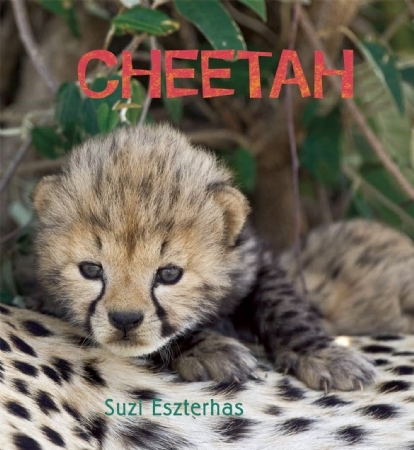 For families who wish to steer clear of violence, even in nature, the Cheetah book has mild reference to the mother hunting for her cubs. Otherwise, the books focus on the babies learning to do daily chores and take care of themselves. These books sound great! I saw a baby chimpanzee at the zoo once and I honestly stayed and watched for an hour becuause the mom-baby interaction was so adorable!! SusanVeg: Yes, exactly! I wish that had been stated overtly in the book, however. Especially as older children could be reading these on their own.